Entry-Fee: $75.00 for members and $110.00 non-members. Withdraws Policy: Withdraws will be accepted for any reason, when notice is given by 5:00pm EST on April 19th, 2019. 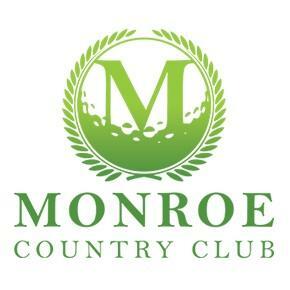 Practice Rounds are available through Monroe Golf Club Pro Shop. Practice rounds are not allowed the day of the tournament or while the tournament is in progress, breach of the rule is a disqualification. Players are responsible to schedule their practice rounds and are responsible for the cost. Please report to your assigned tee 10 minutes prior to your scheduled tee time. Withdraws will be accepted for any reason, when notice is given by 5:00pm EST on Friday April 19th, 2019. Players that need to withdraw must call the tour office at 704-824-6548 or email the tour at info@nationaljrgolf.org . There will be a $25.00 administrative fee for all refunds. For withdrawal after 5:00pm EST on Friday April 19th, 2019 deadline, the player will have the option to either forfeit the entry fee or to credit the entry fee to another tournament. There will be a $25.00 administrative fee for all players that credit the entry fee to another tournament. In case of a family emergency or personal emergency withdraws please call the tour office at 704-824-6548. No refund or credit will be offered once a player has teed off during tournament play. No shows will not receive a refund or credit. Call - 704-821-9800 and tell them you are with the National Junior Golf Association to receive your special rate. Player Rate: $69.00 + tax - Double bed.